Oreo by Fran Ross is a masterpiece of satire, following the eponymous protagonist in her quest through New York City to find her father. In this extract from the afterword by Harryette Mullen, poet, short story writer and literary scholar, she examines Ross’s feminist retelling of the myth of Theseus. 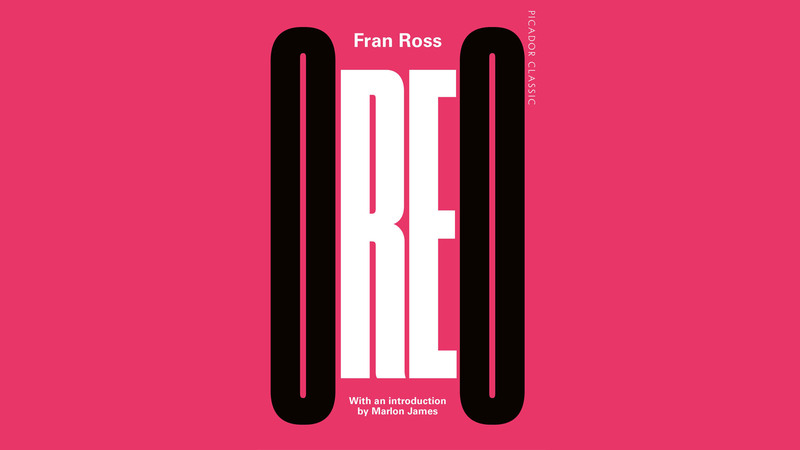 Oreo is published for the first time in the UK as a Picador Classic. In Oreo the ancient Greek myth of Theseus’ journey into the Labyrinth becomes a linguistically riotous feminist tall tale of a young black woman’s passage from Philadelphia to New York in search of her white Jewish father. Ross’s brain-teasing humor gives Oreo its distinctive wit. It is essentially a ludic text, full of verbal games, jokes, puns, and puzzles. Ross clearly delighted in inviting readers to play along with her rollicking parody of classical myth. However, there is also a serious aspect to her heroine’s playful wrangling with language. The Labyrinth that Theseus entered was a kind of game created by Daedalus for King Minos of Crete; but the intricate maze served the serious purpose of corralling the violent Minotaur. In certain Greek myths, solving a riddle is a test of the hero’s ingenuity, suggesting that life itself is a game of wits. Oreo’s journey is not merely a whimsical comic adventure, but also a meaningful quest for self-knowledge. As she seeks the answer to the riddle of her origins, word games entertain the heroine in her solo journey, and keep her wits sharpened for verbal duels with the assorted characters she encounters on the streets of New York, who correspond to the bandits that Theseus slays on his overland journey from Troezen to Athens. A satire on relations between African Americans and Jews, as well as a topsy-turvy treatment of racial and ethnic shibboleths and stereotypes in American popular culture, Oreo is also a formally inventive picaresque novel written as a series of language games, comic translations, bilingual wisecracks, and arch etymological puns that call to mind crazily erudite vaudeville routines performed by comedian Professor Irwin Corey; elaborately constructed shaggy dog stories with absurdly far-fetched punch lines delivered with the raised eyebrow of Groucho Marx; the high hipster monologues of Lord Buckley; and the X-rated comedy of Lenny Bruce, Redd Foxx, and Richard Pryor. Ross’s linguistic range stretches from scholarly wit and airy erudition to vernacular dialects and stand-up comedy shtick. The author’s etymological puns trace her tongue back to its Greek and Latin roots, at the same time that her novel updates an ancient myth with several new twists, including a heroic feminist protagonist whose Labyrinth is the New York subway system, and whose Minotaur is not a bull-headed man but a mannish bulldog named Toro. Like James Joyce’s Ulysses, possibly one of its models, Ross’s novel is, on a smaller scale, a zesty, pun-filled parody of a classical myth. Oreo’s tongue-in-cheek mimicry of the Greek hero underscores Ross’s cheekiness as an African American woman who travesties both James Joyce and the Greeks while blithely seeking her place in a Western literary tradition. Ross’s clever parody is wildly irreverent in many respects, drawing interesting parallels between the macho hero Theseus, who is credited with the invention of wrestling, and her militantly feminist heroine, Oreo, who uses verbal wit and martial arts to dispatch her male adversaries. Like Theseus, when Oreo comes of age, she sets off to find an absentee father who has left behind clues to the “secret of her birth” and tokens of a paternal legacy, “sword and sandals,” traditionally passed from father to son. If Theseus’ entry into the Labyrinth suggests the masculine hero’s return to the womb followed by the rebirth of a new self through the feminine power of his guide, Ariadne, Oreo’s quest to meet her deadbeat dad suggests a feminist daughter’s claim to self-knowledge as well as her determination to challenge patriarchy and to contest the phallic power of the male. Unlike Theseus and the Minotaur, who owe their existence to the perverse promiscuity of gods and aristocrats, Oreo is the legitimate off-spring of a middle-class couple who happen to be of different races and religions; and unlike other feminist heroines of the 1970s, Oreo remains virginal throughout her often risky adventures. Although Ross stirs racy jokes and spicy sexual innuendo into the mix of Oreo, it is perhaps because of conventional strictures on the sexual expressiveness of black women that Ross prefers to demonstrate her heroine’s physical and intellectual prowess in martial and verbal arts rather than in sexual adventures such as those of Erica Jong’s Isadora Wing in Fear of Flying, or Rita Mae Brown’s Molly Bolt in Rubyfruit Jungle, two novels published in the year before Oreo appeared.